KADENA AIR BASE, Japan — Time is moving fast for the two loadmasters in the cargo hold of the MC-130H. They’ve got 10 minutes before a group of about 40 special operators parachute from the aircraft, and there’s a lot to coordinate before then with the jumpmaster and the plane’s navigator — from wind speed and heading to drop location. After what seems like mere moments, the green light comes on, and the paratroopers are given the OK to jump from the cargo bay. For the MC-130H and MC-130J crews at Kadena Air Base in Japan, that’s just another training mission — one that Tech Sgt. Adrian Garcia, an MC-130H loadmaster with the 353rd Special Operations Group, helped complete days before speaking to Defense News in February. Click here for more from Kadena Air Base! On a normal workday, “we can be doing anything, going from working with our joint partners in the Pacific to just moving cargo from here into another country,” Garcia said. But there may come a time when they are called in to actually insert special operators into a war zone, refuel a CV-22 or extract troops from combat, and so they’ve got to keep all their skills sharp. The 353rd SOG at Kadena operates six MC-130J Commando IIs and four MC-130H Combat Talon IIs. 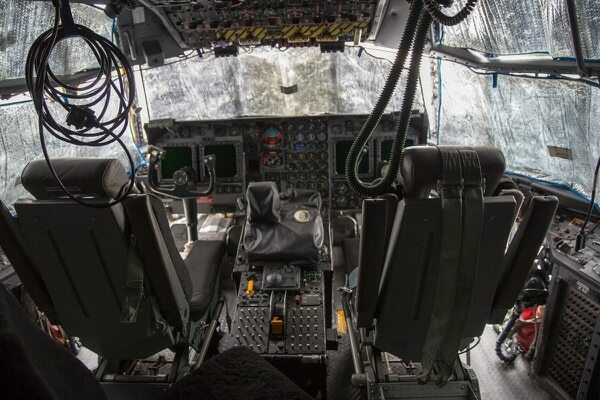 Both are multirole versions of the C-130 Hercules outfitted with gear that enables special operators to conduct a variety of clandestine missions. Bringing supplies or troops in or out of a war zone may sound like a simple task, but there are a lot of moving parts. During a flight, every MC-130H is staffed with a seven-person crew to ensure that work gets done: a pilot, copilot, flight engineer, navigator, electronic warfare officer and two loadmasters. The newer MC-130J requires less manpower, operating with a crew of five in which the roles of flight engineer, navigator and electronic warfare officer are condensed into one weapons systems officer position. The main external difference between the MC-130J, which the Air Force is currently procuring, and the older MC-130H is the engines. The Commando II flies with four Rolls-Royce AE 2100D3 turboprop engines that provide a quarter more power than the Allison T56-A-15s on the Combat Talon, giving it more range and payload capacity. But inside, there are significant differences. The MC-130H is equipped with analog mission systems that necessitate a separate navigator, EW officer and flight mechanic. During a mission, a navigator will keep an eye on GPS, the infrared sensor, the radar and old-fashioned charts and maps, correlating them and changing the route as needed to ensure the aircraft can get where it needs to go. 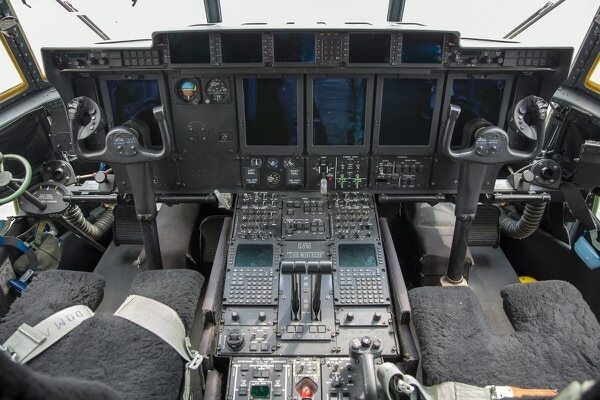 Both MC-130 variants are equipped with an extensive electronic warfare suite that allows the aircraft to move without being detected, but the operators declined to say much about specific EW capabilities. When otherwise not engaged, EW officers can help assist the other crew. “If I’m starting to get bogged down with mission management, then I can pass that to the electronic warfare officer, because they’re also very capable as navigators,” Moulton said. In the Commando II, one person is capable of managing all the mission systems, said 1st Lt. Shamel Butler, an MC-130J combat systems officer. “The majority of my job comes from navigation. We do a lot of low-level flying at night,” he said, so the most important piece is paying attention to the radar. The combat systems officer also helps conduct the aerial refueling of helicopters and rotorcraft, Butler said, adding that his last sortie involved refueling helicopters flown by the Japan Air Self-Defense Force. Meanwhile, the loadmasters are responsible for managing the weight and balance of the aircraft, which is critical for the aircraft as it often flies in adverse conditions, said Garcia. The Air Force is replacing its MC-130Hs with MC-130Js and requested $800 million in its fiscal 2019 budget for six more J models. Procurement of the Commando II is expected to extend to FY23, with a total program of record that includes 73 aircraft. It’s possible that the service could get those aircraft on an accelerated schedule. In FY18, the Air Force included additional MC-130Js on the unfunded wish list sent to Congress each year. Lawmakers responded by funding five extra planes. However, the operators and maintainers of the 353rd said they are making do with the older H models, which are still performing well despite some obsolescence issues. “Smaller components are a little harder to come by because they don’t make them anymore. So a lot of parts, if they do break, they’ll have to be sent in for maintenance. We’ll have to just wait for them to come back,” said Airman 1st Class Joseph Miller, a MC-130 maintenance chief.